A group of young blacks enter the Sears on 69th Street in Upper Darby. Police say about 40 members of flash mob from Philadelphia stole thousands of dollars of merchandise in minutes. Over the holiday weekend, a series of fistacuff and hooliganism incidents broke out in malls around the United States. Unfortunately, the faux mainstream news media won’t provide profiles and information on who is behind or involved with such mob violence. Instead, the following examples of “information” are parlayed to the public. All people need to realize that you can’t get factual news from faux news sources about these criminal elements. Fox News: In Manchester, Conn., around 6 p.m. Monday several hundred teens began fighting at the Shoppes at Buckland Hills. WSJ: Police were beefing up patrols and mall security guards were out in force after melees involving mostly young people erupted around malls in Elizabeth, N.J., Fayetteville, N.C., East Garden City, N.Y., Aurora, Colo., and Tempe, Ariz., among others. Profiling the instigators as “teens” is NOT in the interest of public safety. By default, once again it falls on the “fake news” not to mince words. 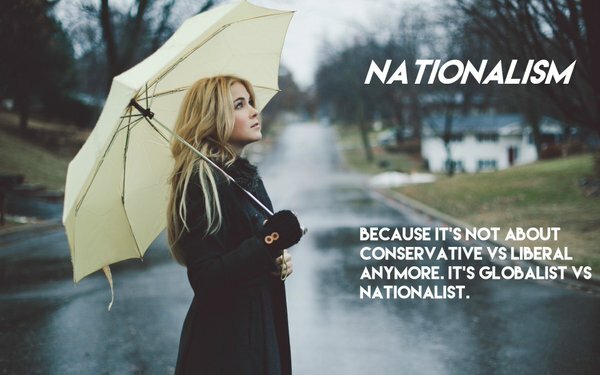 The New Nationalists (TNN) views it as a necessity to examine it. Making the task quite easy is the fact that many of these mob incidents are filmed and put on Youtube. TNN examined about a dozen of these clips from over the weekend and the evidence is overwhelming that these are 100% black-youth mobs. We could only spot other races in a defensive posture. The ages of the perpetrators appear to be between about 10 and 20 years old. For your safety and as a reference point, you will rarely see older adult black males involved with this. But if you are in a public mall, be very aware that black teenage females are in the thick of it and, in fact, are often instigating these brouhahas and egging on the dindu (didn’t do nothin”) black males. In the course of these events, people of all races and ages are terrorized. In the following video, you can see a very diverse group of people hiding out together in a mall store, including Asians, Latinos, whites as well as blacks. Special treatment is metted out to Asians who tend to be smaller stature, and also to smaller white kids. TNN was hard pressed to spot a 6’3-inch, 210-pound, fighting-age, white male being messed with. If you are smaller, young and of any race, be on guard with these cowards. Asians are primarily being targeted by dindus in schools. Especially listen to the SJW school administrator (who looks like the infamous Noel Ignatiev’s cousin) at 0:32 diminishing this by referring to gang bullying as just “kids getting into fights” like it was some schoolyard in Kansas in the 1950s. There is also a form of almost fake fighting going on among blacks that looks somewhat choreographed. But interspersed and almost blended in, you will see videos of young white kids being gang assaulted and whopped on so to speak. This can unfold rapidly as dindu thugs are quick and agile as well as sneaky. The risk is going down, at which point you can be severely kicked or stomped. See the self-defense video at the end of this article. Another form of “New America,” sneak-attack, criminal, black hostility that few are aware of is drug related and involves offering laced marijuana or other recreational drugs. Case in point: My own son admitted to me that he was offered weed by several “friendly” dindus in Washington, D.C. Personally, I believe he was naively sucked in by the “sense of community” and “party atmosphere” while under the influence of alcohol during a summer outdoor festival and purchased it. Regardless, in a Beavis-and-Butthead moment, he was foolish enough to partake. Some hours later, he ended up in the middle-of-the-night in a ghetto area, nearly comatose, and had to be rescued by his girlfriend using a GPS locator. He guessed the pot was laced with crack, but who knows. A similar incident happened to a friend of his at a concert. So the lesson learned: Do not naively trust or even be nice. Profile, and just stay away from such people. This is about self-preservation and protection. There is another form of black violence that involves assaults on older, vulnerable people. This is sometimes referred to as the knock-out game. Although examples are continuously censored, there is still a shocking collection of such videos plastered on the internet and on Youtube. The following viral video comes from Tommy Sotomayer, a black man who reads these thugs the riot act. Well done, as is his advice to white people, who should be alert and at the ready. As mentioned, older black folks and especially Asians are also targeted and should be alert. When you watch these assaults, you will see these are rarely mano-y-mano types of fights. Instead, they are deliberate mismatches of young black men with fighting skills against older victims, smaller people or women. If a stronger individual is marked, they use gangs. As seen in the previous video, the modus operandi are sucker punches and sneak attacks. Defending against a one-punch knockout. Self-defense instructions provided in the following video. I live in the PNW. My local news did a good job showing only footage which revealed a ‘fuzzy’ view of the perpetrators. Most people here are blind to race realism. I had to move to Atlanta 16 years ago to become a Race Realist. I love living back in the PNW. But I sure wish my neighbors had the same experience as I. I can’t seem to convince them otherwise. You really have to live it to believe it. He goes deep. Harm City, Dindustan (Baltimore)- that’s where my almost late son ended up after his laced weed ambush. Many thanks, jrackell, for the link to Lafond’s site! Yes……great site/link. Anyone know of others? I’d like to compile them to share whenever I get called ‘racist’ in a comment section. There are many … here are a few I visit: Irish Savant, Stuff Black People Don’t Like, and New Nation (newnation.org). A good Christian race realist site is Cambria Will Not Yield.